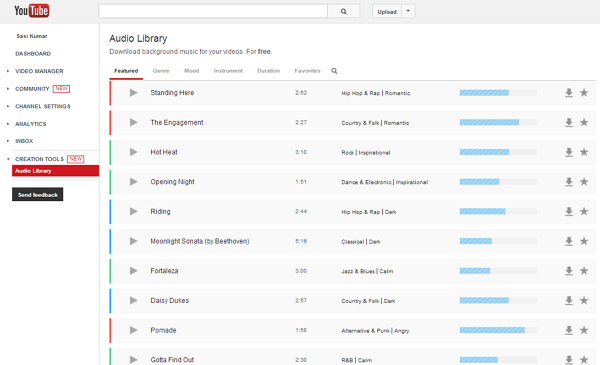 Google launches new Audio library for YouTube that helps users to add royalty music tracks to their video for free. These audio tracks not only for online use and also you can download these 150 royalty music tracks(MP3) to your computer for offline usage. When you are uploading new video to YouTube now you can add great background music for your videos. You can browse the tracks by mood, genre, instrument and duration. The tracks can be downloaded as 320 Kbps MP3 files. Then click the download icon of the specific music track which you want to download to your computer. That's all that specific music track will be downloaded to your computer.